No one can sit still. Not when Little Richard, The Archies, or Dion are singing. 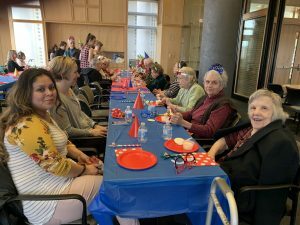 It’s a Rock Around the Library: Celebrating a Year of the KC Memory Cafes. 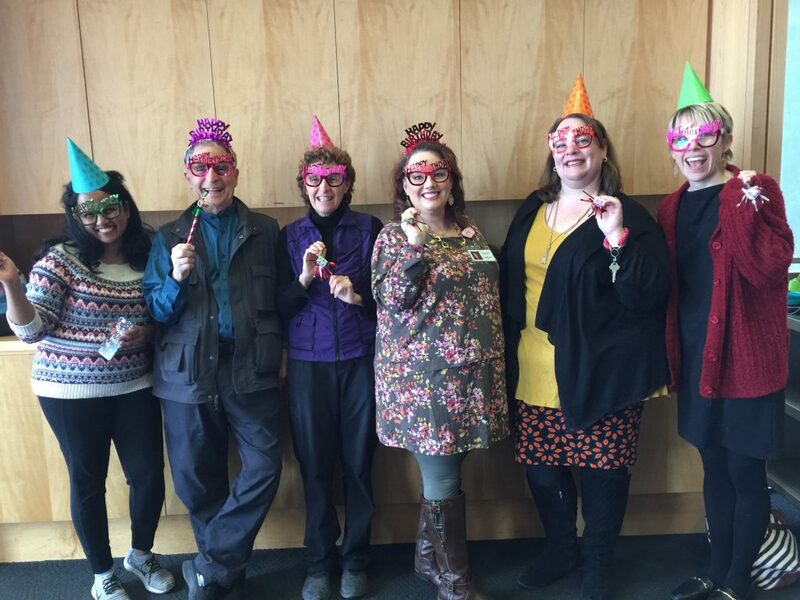 We are one-year-old this March and we’re celebrating with Musical Bingo by Carrieoke Productions. We’ve enjoyed ice cream and cake and we’re ready to roll, rock and roll, that is. 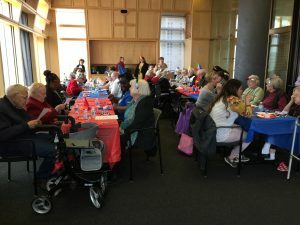 Within moments, all the care partners are dancing. We’re all helping each other find the songs on our Bingo sheets. We’re singing along when we know the lyrics and humming along when we don’t. We’re laughing. For an hour, we Twist and Shout, warble Do You Want to Dance?, warn our neighbors not to “step on my Blue Suede Shoes,” and shake our heads over Run Around Sue. Those who win at musical bingo, and there are many of them, get to select a prize. 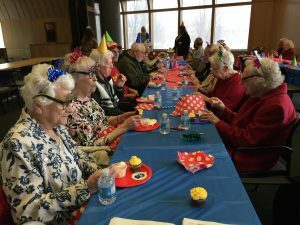 “It’s wonderful to see people blooming,” one care professional says. And it’s equally wonderful to see the caregivers laughing, joking, dancing, encouraging, sharing, and helping us create This Magic Moment. Don’t miss our Magic Moment in April. The Kansas City Zoo is bringing some exotic and personable animals on April 16th. Please join us at 10:30 on the lower level of the Plaza Library. Come early. Please share this information with anyone who might benefit. 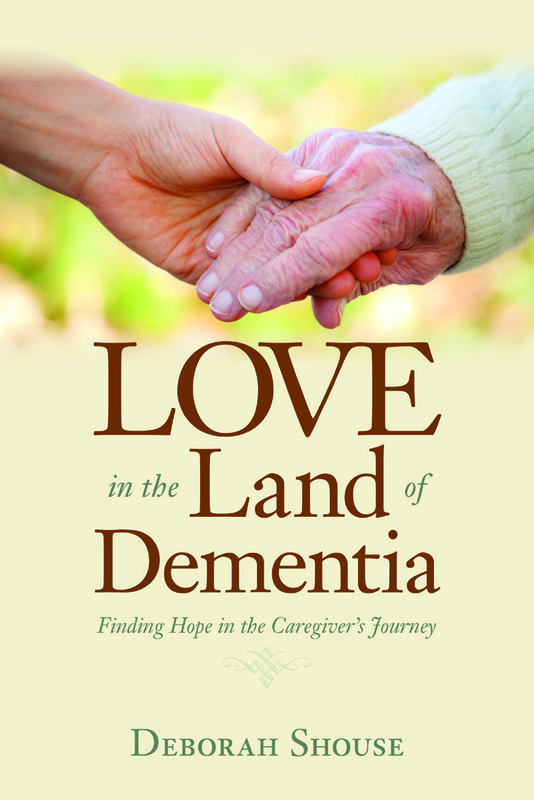 Deborah Shouse is the author of Connecting in the Land of Dementia: Creative Activities to Explore Together and Love in the Land of Dementia: Finding Hope in the Caregiver’s Journey.